The working hypothesis of this program is an injury or illness sustained by a family or work group remote from medical resources by distance, time, or availability (grid down) over a short to intermediate interval. Taught by a retired Emergency Physician with 35 years of Trauma, EMS/ Rescue, and instructional experience, the methods and techniques taught are derived from over 10 years of front-line trauma care in an urban gangland zone and over 35 years of medical practice in environments as diverse as remote underground in caves (delayed evacuation to surface of 20 hrs), on the side of remote hills (48 hr bivouac in “whiteout” conditions), and at sea. The trauma concepts are compatible and consistent with the current military method of Tactical Combat Casualty Care. More details soon, or simply contact us at westernshooters@gmail.com. – the M193 55 grain 5.56 ammo at Ammoman, where $425 gets 1000 rounds delivered to your door, and $2000 gets 5000 rounds delivered. No financial interests in any of these companies – just a desire to get folks to understand that it truly is “buy now or cry later”. > Go to the Civilian Marksmanship Program website and check out the qualifications needed to purchase up to 12 Garands per year, starting at $445 each. FAQs are here re one of the finest battle rifles in history, even by today’s standards. Yeah, parts are a hassle, but less so when you designate the six best rifles out of your 12 rifles/year allotment to firing duty and the remaining six sticks to parts detail. Then check out the prices for quality Greek non-corrosive surplus .30-’06 ball here. 768 rounds on en bloc clips in bandoliers for $238 shipped to the lower 48 states is a screaming deal. Fill out the paperwork, send it in, and convert as many of your disintegrating-unto-toilet-paper US dollars as you can into machined steel, walnut, lead, copper, nitrocellulose, and brass. Then harangue your friends and family into doing the same. It’s the commodities play that keeps on rewarding its investors, but only if you then go and learn to shoot these rifles competently while you still can. Start your study in the left margin of our blog, by clicking on the link for “How to Shoot the US Army Rifle M-1”. We’ll be back with more training suggestions shortly. Xiong huai chouhen, dan wu xu fa. 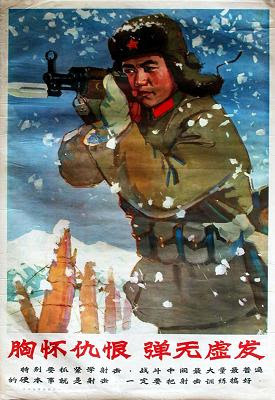 Tebie yao zhuajin xue sheji, zhandou zhongjian zui daliang zui pubian de ying benshi jiu shi sheji. Yiding yao ba sheji xunlian gao hao. With vengeance in your heart, no bullet will be fired in vain. You must especially make the best use of your time to learn how to fire a gun, because in combat this is the most widely used practical skill. Ensure that training for shooting a gun is thoroughly carried out. Wisdom from the East, indeed…. >Living in an Imperial World: Joint US/Canadian Military Ops re "Civil Emergencies"
Seems that the NORTHCOM troopies have been up to other domestic things as well, as detailed in this story and this page from the NORTHCOM homepage. Make sure that you read NORTHCOM’s “Vision 2020” white paper too. 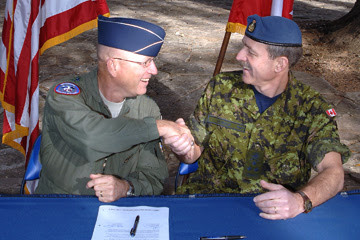 Our Commands fully rely on the relationships we maintain with partners such as Canada, Mexico and myriad agencies. While we have multiple partners and stakeholders, we are united in purpose to provide increased security and defense of North America. We will capitalize on the experience, expertise and capabilities of all potential partners, incorporating these into our plans, training, exercises and operations. Whether operating in a supported or supporting role, the forces employed for homeland defense or civil support must be able to work with every government, Service, and agency that provides members to serve in homeland and continental defense operations. Wonder what that civil emergency is that so troubles the troopies? Wonder also why, with all of that great interservice cooperation between the three (for now) nations, that we can’t get our southern border secured? After all, the powers-that-be have told us that all of that North American Union stuff is just a “myth”. That Council on Foreign Relations paper entitled “Building a North American Community” and conveniently downloadable in English, Spanish, and French? It’s not like the CFR and its members have any influence or anything. In any event, I am utterly confident that, come der Tag, our Canuck and Mexican allies will be just as concerned with the sanctity of the Second Amendment as our own troops will be. >Living in an Imperial World: The FBI & Corporate America – Perfect Together! Read the whole thing please, and also check out InfraGard’s website. Then think about the implications, both now and in the future. To aid you in your thoughts, also take the time to read this detailed history of a successful public-private information-sharing partnership from the recent past. I’m sure you’ll find it reassuring. Rasczak: “Of course you don’t. I doubt if any of you here would recognize ‘civic virtue’ if it bit you in the a–.” – Starship Troopers, the movie, 1998. I thought about citizens — the kind of citizens envisioned by Paine, Jackson and Heinlein — when I attended the national meeting of the Patriots’ Border Alliance in St. Louis this past weekend. The room was packed with just such men and women as the Founders counted upon to maintain their Republic. “History, for good or ill, is made by determined minorities. Never was that truer than among that small band of New Mexico Minutemen. They were dirty, unshaven and exhausted on their best day. They didn’t look like much more than a small convention of the homeless. But by their presence and their gritty determination they were calling the shots on the border. They were pitiful, they were magnificent. I am proud to have known them and to have served with them. And if we can find more of their kind, we just might be able to save the country.” — Mike Vanderboegh, “The Magnificent Minutemen,” October, 2005. First, I owe the reader some background. Everybody remembers the Minuteman Project, which staged the first border vigil in Arizona in April 2005. Founded by Chris Simcox and Jim Gilchrist, this organization no sooner took to the field than its originators split up over conflicts of ego and substance. Gilchrist’s people retained the Minuteman Project name, Simcox founded Minuteman Civil Defense Corps (hereinafter, MCDC). Like several of my friends, I joined MCDC in mid-2005. There is no doubt that these two men and the organizations they founded changed the entire dynamic of the argument over illegal immigration. The public was tickled pink that someone was embarrassing the Bush Administration into doing something, no matter how small and insincere, about the flood of illegal aliens. Armed men and women – the armed citizenry envisioned by the Founders — were going to the border to help our vastly outnumbered and hamstrung Border Patrol in defiance of the contrabandistas, the coyotes, the cheap labor exploiters and the upper echelons of their own national government. The President called us “vigilantes.” The professional liars-for-money of the Southern Poverty Law Center and the brown racists of the La Raza and Reconquista crowd called us worse. The Border Patrol loved us. The American people loved us. Our positive poll numbers rose to two or three times those of Bush and the Congress. As a result, MCDC grew by leaps and bounds. But with the rush of volunteers and donations came real questions of how those volunteers were being used and where those donations were going. My old friend Bob Wright of New Mexico, who served as National Training Director for MCDC, was one of those who, while focused on the mission, began having doubts. Ultimately a sizable number of the top and midlevel leadership MCDC volunteers (some 13 of them) were purged by Simcox and his “cult of personality” for having the temerity to insist upon an accounting of MCDC money. Hundreds (perhaps thousands) of others quit in disgust after the purge, some retreating into smaller groups around proven local or state leaders. Others, including Bob Wright, sought a third way: the Patriots’ Border Alliance. This “Gang of Thirteen” (as the Simcoxian Koolaid drinkers characterized these incorruptibles) fought to maintain effective border vigil efforts while simultaneously building another national organization that would have what MCDC lacked: open books, accountability of leadership and democratic organization from the bottom up, not the top down. The meeting in St. Louis last weekend achieved those goals, and the Patriot’s Border Alliance now has open (albeit slender) finances, a newly elected, fully accountable Board of Directors (including the indomitable Bob Wright as President) and a plan to take the fight over illegal immigration to higher levels of struggle on both old and new battlefields with an eye to forcing the problem back to center stage in this election year. So the national meeting of PBA (and all those important little side meetings that always take place at such gatherings of like-minded souls) was in itself well worth the trip from Alabama. But what came after the meeting was an experience out of the “mystic chords of memory.” It was billed as a reception, a party. It would be at 7PM sharp they said, don’t be late. The whispering beforehand was that no matter how tired you were — after an all day meeting and the traveling you had done to get there and the traveling you would do the next day to get home — you needed to be at this party. You would regret it if you missed it, they said. They were right. The reception was held at the substantial home of Joe Adams, about fifteen minutes from the Staybridge hotel where most of us were lodged (I highly recommend it, by the way, if you’re ever in St. Louis). There was food, there was music, there was a substantial bar. And there was more. Goosebumps. I wasn’t the only one with wet eyes, nor the only one with a lump in my throat. You know, I have spent long hours over the past fifteen years trying to make the point with my writing that the Americans of this generation need only look to our ancestors – the Founders – to know how to comport themselves as free men. Yet this simple ceremony, taking but a few minutes, was more eloquent and more powerful than all the gallons of ink I have spilled to bring the Founders’ principles back to life with mere, and wholly inadequate, words. We were, in that moment, citizens immortal — from that time to this to the unseen future — from hand to hand and soul to soul, eternal. 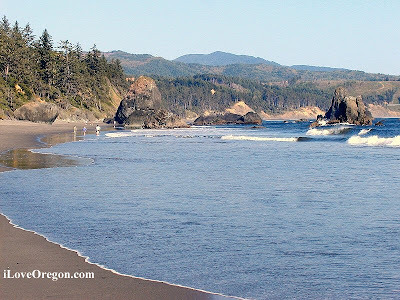 Come one, come all as we return to the magnificent Oregon coast for this year’s first WRSA event, designed to make sure you have a solid grasp of the fundamentals in using your handgun for its designed purpose. Fee: $150/shooter/2 days; “buddy system” pricing allows 25% total discount (i.e., 2 shooters @ $225 total; 3 shooters @ $337.50, etc.). Young people under 21 are free with a paid admission; participation by minors may be limited as to the extent of training, but they will benefit from the instruction. Prerequisites: Each shooter will be expected at all times to adhere to the standard gun safety rules, with special attention to muzzle and trigger finger control. Your weekend will be more enjoyable if your handgun is cleaned, and properly lubricated. All shooters will have an opportunity to zero their handguns at appropriate distances. Make sure to remember your cleaning equipment, lubricants, and any necessary tools/manuals for all of your gear. Rendezvous details: Oceanview Diner (541) 469-7971 – rendezvous on 3/15/08 at no later than 7:00 AM if you want to eat breakfast before heading to the range. 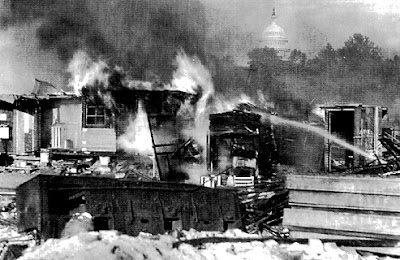 This picture, taken in 1932, shows the fires set by the US Army in the campsite near the Capitol established by American veterans as they peacefully petitioned Congress for advance payment on the promised “bonus” arising from their World War I military service. The saga of the “Bonus Expeditionary Force” (a play on “American Expeditionary Force”, the official designation of the American forces in France during WWI), is a terrible piece of American history which should be taught to every schoolchild, along with the tale of Manzanar and the other concentration camps established a decade later to imprison American citizens without indictment or trial. Failure to remember these outrages simply guarantees their recurrence. Why do you think that surveillance has been established, and why does it grow more intrusive every single year? Why do you think billions of your tax dollars have been provided to state and local authorities to create “domestic standing armies” of paramilitary, armed-to-the-gills special weapons police teams? Why do you think the Marines are training for “urban patrol exercises” in American cities? Why not ask your friends and relatives in the service about joint training exercises currently being held between the .mil folks and the DHS minions? Why do you think that civil rights groups such as the Free State Wyoming movement and – yes, Virginia – even the WRSA have been identified by .gov apparatchiks as “potential threats”? Why is the most powerful military and economic machine ever in the history of mankind so damned afraid? Here’s a strong candidate for why. Just as General MacArthur, along with his aides Eisenhower and Patton, were ordered to disperse the Bonus Army in 1932, so too is it entirely likely that the .gov will use every tool – including the .mil – at its disposal to ensure a compliant and submissive populace in the coming economic maelstrom. Just as a failing Republican President, faced with an economic calamity, loosed the Army on American citizens to ensure order, so too a decade later did a Democratic President order the transport and imprisonment in concentration camps of American citizens deemed potential security risks. It already has – more than once. If you think that the powers-that-be who created the coming financial debacle aren’t going to want unchallenged control of its aftermath, you have some hard lessons coming. As we noted here, Miami police were seeking authority from the FAA for a test of unmanned aerial vehicles (UAV) for tactical uses. Approval for the UAV trial was announced today. More video here. …Honeywell has begun low-rate initial production of MAVs on a new line in Albuquerque, New Mexico, sized to manufacture up to 100 vehicles a month. “We expect several large contracts in 2008,” says Fulton. The wise patriot will learn to think not only about OPSEC and COMSEC, but also 360-degree situational awareness in the x, y, and z axes. This US Border Patrol PowerPoint presentation will give you more incentive to do so. Go here to download a free PowerPoint viewing program, which you’ll need to watch the little flying-dog-and-pony show from the Border boys. The future is here, and it ain’t pretty. Read the whole thing, please, along with these two European perspectives on the big picture. The language of the lie is just another tool of killers. A sign saying “Arbeit Macht Frei” (Work Makes You Free) posted above an execution camp gate does not mean that anybody gets out of there alive, and a room labeled “Showers” does not necessarily make you clean. Bill Clinton notwithstanding, the meaning of “is” is plain when such perverted language gets you killed. 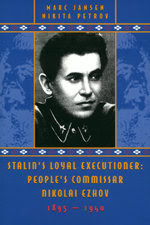 While all tyrants are liars, it is true that not all political liars are would-be tyrants — but they bear close watching. And keep your rifle handy. LESSON NO. 5: Our constitutional republic as crafted by the Founders is the worst form of government in the world, except when compared to all the others. Capitalism, as well, is a terrible way to run an economy, except when compared to all other economic systems. Unrestrained democracy is best expressed as three wolves and a sheep sitting down to vote on what to have for dinner. The horrors of collectivism in all its forms — socialism, communism, national socialism, fascism — have been demonstrated beyond dispute by considerable wasteful trial and bloody error. 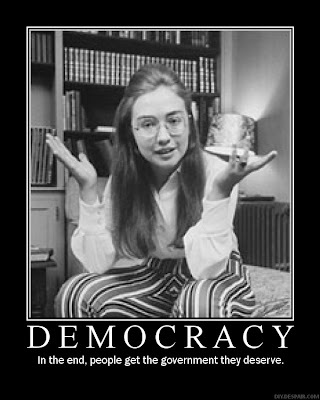 Leaders such as Bill Clinton who view the Constitution as inconvenient and ignorable are harbingers of tyranny. LESSON NO. 6: While nations do not always get the leaders they deserve, they always get the leaders they tolerate. And anyone who tells you that “It Can’t Happen Here” is whistling past the graveyard of history. There is no “house rule” that bars tyranny coming to America. History is replete with republics whose people grew complacent and descended into imperial butchery and chaos. Dictators count on the assistance of people who are complacent, fearful, envious, lazy and corrupt. While there is no “Collective guilt” to the crimes of a regime (all such crimes being committed by specific criminal individuals), there is certainly “collective responsibility” — especially for those who watch the criminals at work without objecting or interfering. De Tocqueville observed that “America is great because America is good. When America ceases to be good, she will cease to be great.” As related in the Old Testament, God judged nations based upon the immorality and criminality of their leaders. Entire peoples were scourged because of their failure to remove corrupt leaders. This article was reprinted with permission of the author from The Hawaiian Rifleman, January, 2000 issue. >Look at You! You Brought A Little Friend! Donny DOJ from Washington brought one of his short-bus friends from DHS to visit us today, too. Won’t you both be my Federal friends? I like it when you say you will. We’ll all have special fun together real soon, won’t we, boys and girls? Hey, you little DHS scamp – any word from Brownie lately? >Hi Guys! Glad You Could Drop By! Posted on February 13, 2008 | Comments Off on >Hi Guys! Glad You Could Drop By! Pull up a chair and join the conversation, won’t you? Awwww…I guess you’re shy. That would explain the Nomex hoods. They are quite the fashion statement. Well, enjoy the place. Drop by anytime. Comments Off on >Hi Guys! Glad You Could Drop By! “I ain’t a man to blame dead men,” Tyree said, “but the captain used to say an army ought to have a lotta brains before it shows a lotta flags. He used to say it ought to be able to shoot ‘possible’ before it lets the band play too loud. And he used to say that only a well-trained veteran looks right in a bright uniform, and that dirty uniform shirts make the best empires. But maybe we’ll find out what the Spaniards did wrong, Mr. Pennell. I’ve knowed we was goin’ to the Grave fer four days.” . . . — “Spanish Man’s Grave” by James Warner Bellah in Reveille, Curtis Publishing, 1947. I’ve been a fan of James Warner Bellah’s writing since childhood, long before I even knew his name. Born in Delaware in 1899, Bellah went to Canada before the U.S. entered World War I, joining the Royal Flying Corps and serving as a pilot in the 117th Squadron. After the Great War ended, he began writing, publishing his first novel in 1923. In the 1930s he worked as journalist for the New York Post. A student of history, he joined the United States Army before Pearl Harbor and served as an infantry officer in Southeast Asia. After the war he resumed his writing career and struck gold with a series of stories first published in the Saturday Evening Post, about the U.S. Cavalry during the Indian wars. John Ford’s epic cavalry trilogy, Fort Apache, She Wore a Yellow Ribbon and Rio Grande (all starring John Wayne), were Bellah screenplays, based on his short stories, “Massacre,” “Mission Without a Name,” and “The Big Hunt.” Bellah went on to write the screenplays for other movies, including Sergeant Rutledge and The Man Who Shot Liberty Valance. He died in 1976. She Wore a Yellow Ribbon was always my favorite. Wayne’s portrayal of tough, competent, sentimental Captain Nathan Brittles (“Never apologize, Mr. Cohill. It’s a sign of weakness”), a character based upon the real U.S. cavalry officer Frederick W. Benteen, was a classic. I first saw it as kid on late night TV and was enthralled. I suppose that’s why back in the late 80s I wrote a manuscript biography of Benteen’s civil war career (sadly unpublished). The concept of the man who does his duty, no matter the cost, speaks of eternal truths. But even if Nathan Brittles is my favorite Bellah character, “Spanish Man’s Grave” is my favorite Bellah story. Young Lieutenant Ross Pennell, worn-out Captain MacAfee, hard-bitten Sergeant Tyree, a corporal and seven men, are on patrol when they spot smoke in the distance — a burning homestead. MacAfee halts his mount. “Mr. Pennell,” he spoke haltingly, “this . . .is as far as I go,” and he sat there with his eyes closed, like marbles in his skull. Marbles covered with chicken skin. A worn-out man, old before his time, drained dry by the Colors, sitting his mount a thousand miles down the wastelands, staring at distant smoke with his eyes closed. Pennell called to the little Graeme girl again to lie flat and wait, and again the patrol fired, and again, until there was no more sound of thrashing agony, no more panther rush to get away, no more Apaches to teach the niceties to. The girl is rescued and the Apaches are routed by a dead Captain’s plan and a young Lieutenant’s initiative. Bellah ends with this sentence: “And the way of their hard living was suddenly more worth while in that moment than all the emeralds of Hind and all the gold of Cathay.” Hokey? Maybe. Just like the singing of the Star Spangled Banner that puts a catch in your throat. In Spanish Man’s Grave, the cavalry employ the same principles of war against raiders that the colonial militias, the trained bands and the “snow shoe men” who preceded the Minutemen of the 1770s did against the Indian tribes of the East. These campaigns, and those of the French and Indian War, honed a system of militia training and organization that paid off on 19 April 1775. 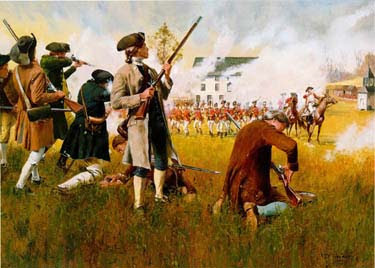 General Galvin’s book is required reading for every student of the armed citizenry, for it demonstrates that the Minutemen’s success at Concord and the savaging of the British column all the way back to Boston was neither accidental nor spontaneous. For those of us today who believe that going down to the range four or five times a year is enough to demonstrate the proficiency necessary to provide as credible a deterrent to tyranny as the Minutemen, a quick skimming of Galvin’s work ought to disabuse them of that silly notion. As I have written in many places before, merely having the means to resist tyranny is no evidence that you can do so successfully. You must have the will and the ability to do so. You must, like Bellah’s Captain MacAfee says, be able to fire a “possible” at distance. You must also know how to conduct yourself when firing at an enemy. And you must know how to get to the place where you can fire. And how to move forward, or backward, after doing so. The constitutional militias of the 90s worked on such competencies and were laughed at by “respectable” shooters. Yet, as I have written before (See “Resistance is Futile”: Waco Rules vs. Romanian Rules), the 90s militias were enough to back down the Clintonistas from any more Wacos. 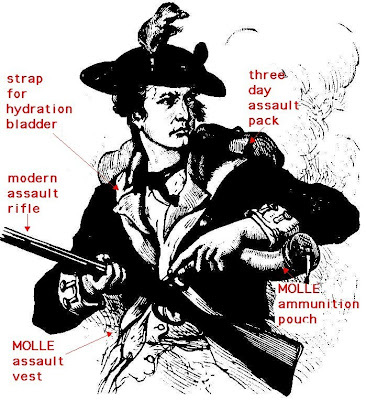 For all the silliness and stupidity that characterized the “militia generals” who capered and postured like clowns for the mainstream media back then, there were many other folks who quietly understood the lessons of the armed citizenry of our history. Shunning attention, they did the one thing that made them a countervailing force to predatory unconstitutional government — they trained. And trained and trained. They trained until the lessons were a habit. And some of them are still training today. “Tonight was a lark. It was practice. Prepare your mind to endure its like again and again, until it is nothing to you, until you can laugh in Polnikes’ face and return his insults with a carefree heart. Remember that boys of Lakedaemon have endured these harrowings for hundreds of years. We spend tears now that we may conserve blood later. Polynikes was not seeking to harm you tonight. He was trying to teach that discipline of mind which will block out fear when the trumpets sound and the battle pipers mark the beat. Remember what I told you about the house with many rooms. There are rooms we must not enter. Anger. Fear. Any passion which leads the mind toward that ‘possession’ which undoes men in war. Habit will be your champion. When you train the mind to think one way and one way only, when you refuse to allow it to think in another, that will produce great strength in battle. . . Habit is a mighty ally, my young friend. The habit of fear and anger, or the habit of self-composure and courage.” (Dienekes) rapped the boy warmly on the shoulder; they both stood. “Go now. Get some sleep. I promise you, before you see battle again, we’ll arm you with all the handiest habits.” — Gates of Fire by Steven Pressfield. This is what the Founders intended by the 2nd Amendment: to put the elements of defensive war in the hands of the people. But they also expected us to be “well-regulated”, that is to be competent with those weapons, to be trained in their use. They didn’t put that responsibility on the federal government. They put it on us, the people. Now, it is true enough that most people today don’t accept that responsibility any more. Many would even take it away from those who do. These sad facts do not absolve us from the responsibility of maintaining our freedom habits and our liberty muscle memory. “Habit is a mighty ally.” Indeed. And tyrants, like street thugs, pass by the man who looks ready to take them on and pick on the unready, the weak and the obvious victim. “They had trained intensively for a year,” Galvin says of the Minutemen. How much have you trained lately in the arts of a free citizen? So, work on your freedom muscle memory. Renew the old mental and physical habits of liberty that you have let fall into disuse. The fears of man are many. He fears the shadow of death and the closed doors of the future. He is afraid for his friends and for his sons and of the specter of tomorrow. All his life’s journey he walks in the lonely corridors of his controlled fears, if he is a man. For only fools will strut, and only cowards dare cringe. — James Warner Bellah, “Spanish Man’s Grave” in Reveille, Curtis Publishing, 1947. You know, I thank God every day that I am an Alabamian by choice. I love Alabama. I was born in Michigan on a stormy July night in 1952. At the tender age of 3 I was hijacked and removed against my will to Ohio where I was raised amongst the “Heathen Buckeye” as my Michigan relatives saw it (my father took a transfer with the Whirlpool Corporation to their Marion division). From 1955 to 1985, I lived in Ohio, first in Marion, then in Columbus. My son was born in University Hospital there in 1979. In 1985, I “refugeed” out of Ohio, fleeing my ex-wife, the faithless Wicked Witch of the North. I met and married an Arkansas girl who was working in Birmingham and I never went back. In time, Rosey presented me with two daughters, now teenagers. I would like to see them all grow to middle age before I pass over the River Jordan, but that is in God’s hands. I am immensely proud of all three of my children. They are my finest accomplishments in life, though I must say that my wife Rosey probably bears more responsibility for that than I do. God has truly blessed me. And it was here in Alabama where I found most of those blessings, along with a new home that I embraced. In time, the folks ’round here also embraced me but that was a far longer process, as any other “damyankee” can tell you. Right after I moved here, Rosey and I would spend our weekends just driving around, soaking up the geography and the history of the place. I loved the mountains of north Alabama, but I especially loved the people. By and large, the folks here are the best sort of folks you can find anywhere. They are generous, polite to a fault, tough, loyal to kith and kin, hard working, and God fearing. The race relations here are far better than can be found on Columbus’ west side, to be sure. True, I came here long after the dogs, the firehoses and the nickname “Bombingham” became uncomfortable memories. But there is one side of Alabamians that I just love, and it is expressed in the state motto: “We Dare Defend Our Rights.” I have found more truly free men in Alabama than anywhere else in the country that I have roamed. From the rednecks of Winston County who still fight personal skirmishes that started back in the Civil War to the veterans of the Deacons for Defense and Justice who took up arms to guard Martin Luther King and other apostles of non-violent resistance from Klan attack, Alabamians exemplify that motto. I am lucky that my mother raised me to never know a stranger, for I’ve met and become friends with a lot of folks down here who cross all sorts of racial, ethnic, religious and socio-economic lines. Whenever I get a little peevish at the ways of the world and things seem a little foggy, I return to my friends, especially my Southern white boy friends, for a good mind-clearing dose of down home reality. I’ve just come back from a visit to the touchstone that represents the best of common sense Alabama, and I can’t tell you how refreshed I feel. Well, I’m gratified to see calmness, confidence and optimism breaking out all over in response to my essay. Why don’t some of you guys just go ahead and slit your wrists and get it over with? Or better yet, throw some cold water on your faces, wake up and start acting like AMERICANS used to, fer cryin’ out loud. No wonder the ATF thinks they can get away with what they do. If you’ll stop worrying about what the enemy can do to you and start thinking about what you can do to them, you’ll have made a start at winning the fight. Crap, you outnumber them a hundred to one, despite your fears. If you acted like you had the power that you actually have — the power that your own timidity is stripping you of — we wouldn’t have to fight at all! Sheesh. Quit moaning, b-tching and “woe-is-me-ing” and start ACTING like free people. You’re sure you wanted this blog and not the “surrender before inconvenience” one? Give ’em both barrels–and aim for their eyes. So give ‘im both barrels–and shoot for the eyes. So give ’em both barrels–and aim for the eyes. I guess my sense of history is one thing that helped me make the transition from “damyankee” to full fledged Alabamian (with an asterisk, of course). Still, there may be another more mundane reason that I was embraced. As I was telling David Codrea the other day, I never considered myself a leader (and still don’t consider myself a good leader) but it happened that during the early 90s when the predatory Clintonistas were roaming about seeking whom they would devour, I ended up leading one of our local constitutional militias. I didn’t expect it or ask for it, it just happened. It was just that as I went along people followed me, even into situations where our lives were at risk. Knowing how suspicious and downright allergic the boys were about anything “Yankee” one day I made the mistake of asking, “Why did you fellows pick me?” And from the back of the room somebody said, “Hell, Mike, yer a Yankee. We put you out front and if you get it, we ain’t lost much.” Pretty funny — funny AND smart. And “rejected in normal times” is no idle phrase. Is there any other class of people more lampooned and vilified than the Southern Christian poor white boy? Like the long-dead Ferguson, the elites of this country have always despised him. As Messick says, “Because he remains an individualist, he is a safe target.” “Hillbillies,” as Messick calls them, are “not interested in the fast buck. Wealth has never appealed to him as an end in itself. If he expects a reward for hard work, he assumes it will come in heaven. He still practices the Protestant Ethic, you see. More important to him than money is his personal freedom, the right to do something or nothing as he pleases.” (Hank Messick, King’s Mountain, Little Brown, 1976, pp. 10-11). So like I said, I went and talked to my good old boy buddies. I talked about the situation we find ourselves in today, with Heller looming and the Olofson case outrages that demonstrated the rule of law no longer obtains. I read them, or let them read, some of what I had written. Finally, I read them passages from my defeatist critics’ postings. All of their reactions, long and short, were summed up by one of them: “Heck, Mike, why are you worried about what a bunch of pissant Yankee wusses think? You still got us.” And so I do, God bless ’em all. I’ve got “the cutting edge” with me. With that and God, I’ll make my stand, as the song says, to live and die in Dixie. Although extraordinary valor was displayed by the entire corps of Spartans and Thespians, yet bravest of all was declared the Spartan Dienekes. It is said that on the eve of battle, he was told by a native of Trachis that the Persian archers were so numerous that, when they fired their volleys, the mass of arrows blocked out the sun. Dienekes, however, quite undaunted by this prospect, remarked with a laugh, “Good. Then we’ll have our battle in the shade.” — Herodotus, The Histories. In Pressfield’s novel, the answer to Dienekes’ question was wrapped up in the secret of how the 300 were chosen for what all knew was certain death at Thermopylae. I will not ruin the ending of the book for you if you have not read it, but I think I can summarize and answer without danger: Love. Love is the opposite of fear. Love, faith, duty. If you take counsel of your fears, if you believe in something so little that you can be discouraged before even trying to defend it, then I say boldly that you do not love it enough. You do not have faith in what you profess to believe. For this lack of love, you shirk your duty — to yourself, your family and your country. The wonder of it to me is that you feel comfortable in telling the world of your own failure to love, of your lack of faith and your pitiful excuses for why you cannot do your duty without apparent embarrassment. The men and women of Alabama that I know and love, the despised rednecks, crackers and hillbillies, may not know everything in the wider world but they know what they love — of God and mankind — and are willing to die for it. They walk the corridors of their controlled fear, because they are men and women — American men and women. They are Americans who the Founders would be proud to know, as I am proud to know them and count them friends. And what, I ask, does that make the cynics and defeatists among us who claim to believe in the Republic the Founders made while making excuses why they cannot fight for it? I’m not going to argue the point. We’ll continue with our Basic Rifle Marksmanship series, once you’ve gone back and reviewed Part I dealing with safety. We’ll wait right here ’til you return. You’re back now, so let’s begin. Because we want these lessons to be as useful as possible for a broad audience, we’re going to start with the most common form of rifle sights – the so-called “open sights”. The other major variant of iron rifle sights – aperture sights – we’ll leave for Part II(B) of this series. 3) the target (the fuzzy gray circle on top of the front sight, which is positioned as just touching the target at the 6 o’clock position). A) Sight alignment: This term refers to the way the front and rear sights appear to the shooter after he or she has assumed the physical position to be used for the shot. Note that we are NOT talking about the sights themselves – after all, both the rear and front sights are attached mechanically to the rifle. Instead, what is really being analyzed under the label “sight alignment” is the alignment of the shooter’s sighting eye with the sights themselves. B) Sight picture: First, take a look at the front and rear sights in our diagram and note how the front sight post is exactly centered in the nothch of the rear sight. Note also that the top of the front post is exactly the same height as the higher (non-notched) portions of the rear sight. Both of these points (front sight post centered in notch and on the same level as the non-notched rear sight portions) are critically important. If the front post is more to the right, the bullet will hit to the right of your point of aim (POA); same idea (bullet strike to the left of POA) if the post is more to the left. Similarly, if the front post is higher or lower than the non-notched “ears” of the rear sight, your shot will go higher or lower, respectively, from your POA. Just keep the front post centered in the notch and at the same height as the rear sight “ears”, and you’ll be fine. C) Point of aim: Remember how I said that the shooter needed to keep three separate pieces in mind when using one’s sights? We’ve been talking about two pieces (the front and rear sights), so let’s add the third element now. You’ll see that in our diagram, the front and rear sights are aligned, and that the front post is centered and at the same level as the “ears”. Now look at where the front post is placed relative to the target. If the target were an analog clock face, that position of low center would be where the “6” would be, right? That’s why shooters refer to the sight picture in our diagram as a “six o’clock hold”, since the POA is at the six o’clock position on the target. In Part II(C) of this series, we’ll talk about adjusting your sights mechanically to change where the bullet strikes (known as “point of impact”, or “POI”) for a given POA. For now, just assume that the sights on your rifle are adjusted to have the POI equal to the POA at the distance you are shooting. The six o’clock hold gives beginners (and especially not-so-newcomers) a big advantage, in that it forces shooters to concentrate on the front sight post so that they can be sure that the target is just perched on the front post. That’s where a more colorful name for the six o’clock hold – “pumpkin on a post”- started. The key point to remember is that the human eye simply cannot focus with equal clarity on three distinct items located at varying distances from the eye – in other words, the rear sight, the front sight post, and the target itself. That issue being a fact of human biomechanics, the shooter must choose one item and let the others blur to a greater or lesser degree. Always choose the front sight post to be clear. It will be hard to discipline yourself at first – you and your eyes will want to try to focus on all three objects, or the target, or the rear sight, all at the same time. Take a deep breath and concentrate only on the front sight, and making sure that as you begin your trigger squeeze, that sharp front sight post stays right there, at the six o’clock position of the round (but somewhat fuzzy) bullseye target. Keep repeating that mantra, while allowing yourself only enough attention to the rear sight to ensure that your front post is still centered and on the same level as the “ears”. Do that on every shot, and you’ll be a superstar. Promise! To recap, successsful open rear sight usage comes down to proper sight alignment, the proper sight picture (maintained until the shot is fired) , and the proper point of aim for the target you are shooting. Next time, we’ll deal with the other major vaiety of iron sights – the “peep”, or aperture, sight. Thanks for coming around, and I hope you’ll look forward to our next meeting as much as I will. When the 23rd Regiment was finally back in Boston after the ordeal of April 19, adjutant Frederick Mackenzie wrote in his diary, “I believe the fact is, that General Gage was not only much deceived with respect to the quantity of military stores said to be collected at Concord, but had no conception the rebels would have opposed the King’s troops in the manner they did.” — General John Galvin, The Minutemen, Pergamon-Brasseys, 1989, page 244. History never exactly repeats itself and thus is an imperfect guide. Studying history “we see through a glass, darkly.” Still, there are patterns in history that deserve our close attention, so we may better understand how to act in the present and to enable us to better predict the future. Through history, we understand that no idea, bad or good, ever truly dies. We are also shown that people, being human, repeat the mistakes of their ancestors, over and over again. Indeed, there is no one blinder than a historical amnesiac. “There is another trinity in Boyd’s strategic catechism as well. It is a concern for what he lumps together as moral-mental-physical aspects of opponents. Most definitions of war define them as contests in physical violence. Boyd sees them mainly as moral struggles won as much by mental as physical prowess. But he sees the complex—moral-mental-physical—as a single entity, a synthesis that can be broken down analytically but must be understood as a composite whole. It matches another Trinitarian composite, that of people first, ideas second and things third. This happens to be the opposite of the way most militaries approach problem solving by focusing on technology, platforms and weaponry first, ideas about their employment second and people—who are largely interchangeable and ultimately, are expendable—third. This way of thinking has little utility in Boyd’s Way and in fact, may be the seed of many a defeat.” (Source: Grant T. Hammond, The Essential Boyd). Many Americans, especially us small “r” republicans, take heart when we recall that the American citizenry possesses more small arms than most of the world’s armies put together. And as Clausewitz observed, in military affairs quantity DOES have a quality all its own (just ask any Korean War veteran about his first experience with a Chinese human wave assault). Because of their inability to see the enemy for what he really was (and if ever there was an enemy who delighted in shouting his intentions to the rafters it was Hitler) they went straight from the “awkward stage” to the concentration camps without ever firing a shot. 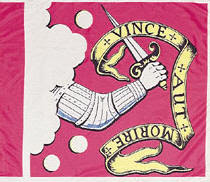 In the American Revolution, Wood wrote, “there was none of the legendary tyranny of history that had so often driven desperate people into rebellion. The Americans were not an oppressed people; they had no crushing imperial shackles to throw off. In fact, the Americans knew they were probably freer and less burdened with cumbersome feudal and hierarchical restraints than any part of mankind in the eighteenth century. To its victims, the Tories, the Revolution was truly incomprehensible. Never in history, said Daniel Leonard, had there been so much rebellion with so ‘little real cause.’ . . . The objective social reality scarcely seemed capable of explaining a revolution . . . The Founders were people who believed in “preserving the spirit of resistance.” To take Abbe Raynal’s words to their conclusion, the Founders aimed to think AND act before they felt. Unlike the Germans, their “awkward stage” ended at Lexington green, and ultimately led to liberty. In the light of recent events such as the Olofson case, it seems plain that our own “awkward stage” may be perilously close to drawing to an end. There are those who still insist that such unconstitutional outrages perpetrated under color of law deserve nothing more than verbal condemnation or further attempts at legal redress in a “justice” system rigged against us (as if these thugs pay attention to the law anyway). Used to inaction and afraid of even voicing the threat of justifiable self-defense, these timid souls, these “summer soldiers and sunshine patriots,” would have us wait for true tyranny before acting. This was not the way of the Founders. They understood that tyranny is best strangled in its unholy infancy, before it becomes a raging beast. They understood the threat, they prepared to meet it and, in the end, they defeated it. The Germans of the 1930s did not, and they were devoured. I say we would do well to emulate the Founders rather than the Germans, to think and ACT before we feel, when it will be too late. This is important not only for those Americans who wish to remain free, but for those on the other side who unthinkingly seek to rob us of our freedoms and for those in the middle who (ignoring the Law of Unintended Consequences) sit idly by, content to watch the destruction of the American republic on television while thinking it has nothing to do with, and can have no effect upon, them. If we small “r” republicans do nothing else, we should let the rogue elements of our own government know that in addition to outnumbering them, we still preserve the spirit of resistance, despite have been marginalized politically by the two major parties. Perhaps, if everyone understands that, the Redcoats (now wearing black raid gear) will not once again blunder and unknowingly march out from Boston into an unexpected but perfectly predictable butchery contest. By our words, our preparations, our training and our actions we, the armed citizenry of the Republic of the United States of America, still have the opportunity to convince them of our unyielding determination to remain free. It may be our last best hope to preserve uninterrupted both our God-given liberties and the domestic peace we have come to love too much. While it is better to be “awkward” than to be dead, it is better still to die fighting than to be enslaved without a fight. Just ask the Germans of the Weimar Republic. So THINK and ACT before you FEEL. The Founders did. Let me tell you my thoughts. With Romney gone, the chances of a brokered convention are nearly zero. But that does not affect my determination to fight on, in every caucus and primary remaining, and at the convention for our ideas, with just as many delegates as I can get. But with so many primaries and caucuses now over, we do not now need so big a national campaign staff, and so I am making it leaner and tighter. Of course, I am committed to fighting for our ideas within the Republican party, so there will be no third party run. I do not denigrate third parties — just the opposite, and I have long worked to remove the ballot-access restrictions on them. But I am a Republican, and I will remain a Republican. Sincere thanks are owed to Congressman Paul for his efforts, as well as the dramatic ongoing effect that his ideas – limited government, sound money, low taxes, wars only as decreed by the Constitution – will have in the aftermath of the coming storm. But understand that despite their superficial differences, John McCain, Barack Obama, and the Hildebeest are cut from the same statist cloth – as are far too many members of both Congressional houses and the Federal judiciary. Every single one of these control junkies believes that government – not free individuals acting independently – is the answer to virtually any question. And guns? Well, just extrapolate from this discussion of a VPC propaganda piece posted by Tam re “intermediate sniper rifles” to get an idea what we will see after the enactment of AWB 2. Read the whole thing. We’ve added each lady to the blogroll, so drop by and get their take as the show proceeds. Foor for thought: how do freedom-lovers adjust to long-term minority status, especially when the opfor will not simply leave them alone?